VOOPOO Drag Gold Edition is a unique and delicate TC mod with max 157W output power. The zinc alloy gliding body and newly upgraded eco-friendly resin plate with various colors combines well to make you stand out of the crowds. It features a fast fire speed of 0.025s with GENE.Fan chip. 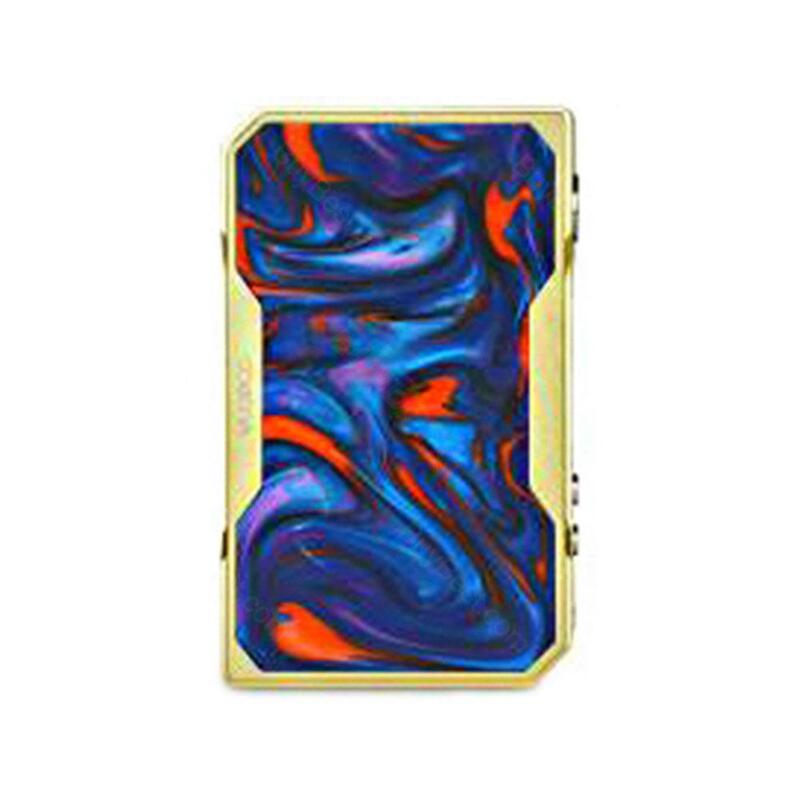 The gold VOOPOO drag looks unique and delicate with zinc alloy gliding body and newly upgraded eco-friendly resin plate with various colors. It supports maximum 157W output power with dual 18650 cells. The GENE.Fan chip brings you a fantastic vaping experience with a fast fire speed of 0.025s. VOOPOO Drag New Year Edition comes with multiple modes to satisfy different needs, including pioneer super mode for denser clouds and better flavor and innovative power compensation mode for a stable power output. Moreover, you can enjoy a long-time vaping with the balance charging. Auténtico motivo de mi primer pedido. Por el momento estoy encantado con él. Se notan pequeñas diferencias con otros mods en cuanto a la respuesta y en sí la calada. Muy recomendable, incluso si estéticamente no es lo mejor, por dentro sí me está pareciendo entre los mejores de su rtango de precios, por no decir el mejor directamente. Die kleinste e Zigaretten in weiß gefällt mir prima. VOOPOO DRAG - New Year Edition schmecken gut.